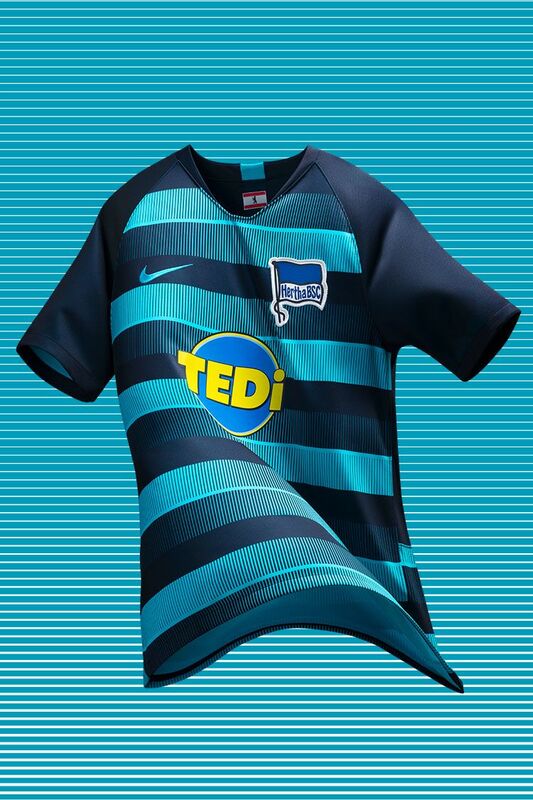 With 126 years of history in their new away shirt, Hertha Berlin's future looks brighter than ever. 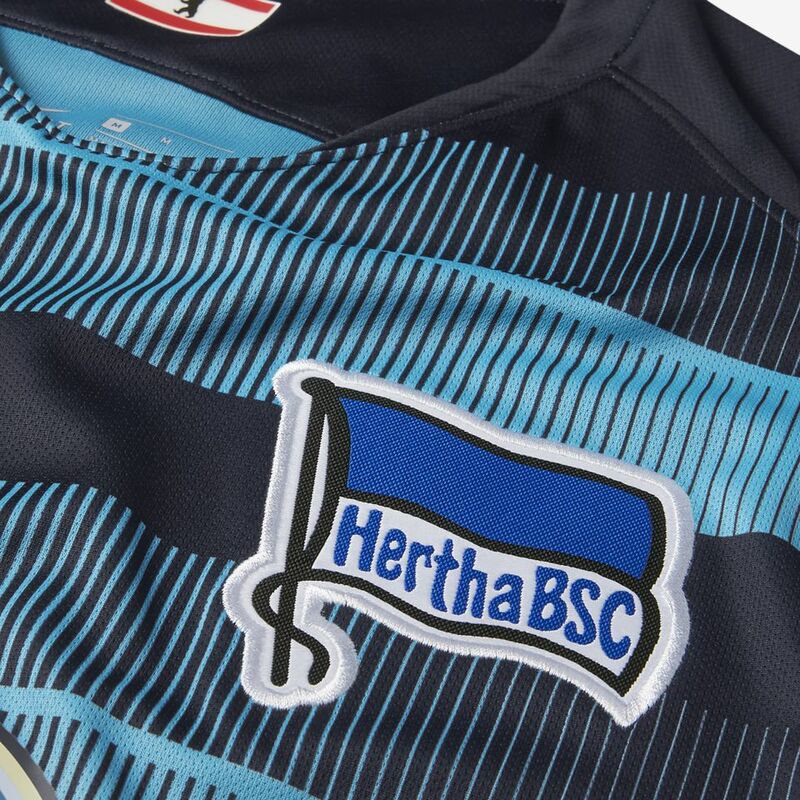 One year after celebrating its 125th anniversary, Hertha Berlin is now fully focused on the future. 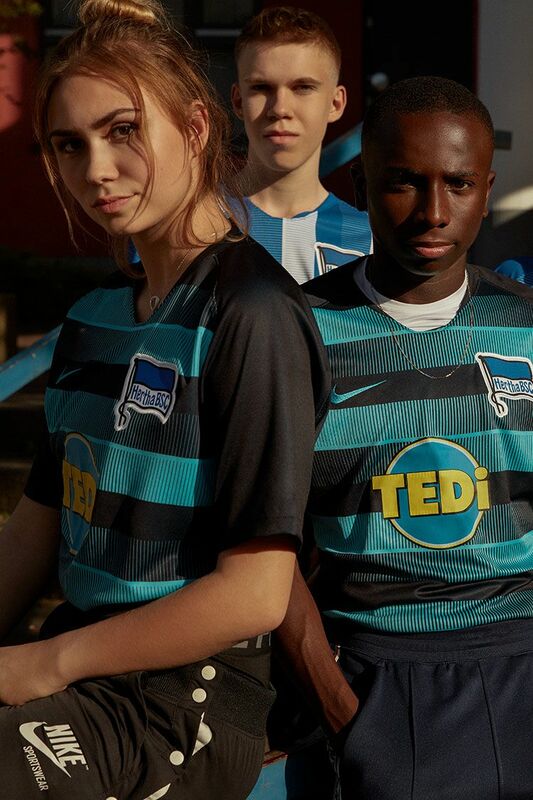 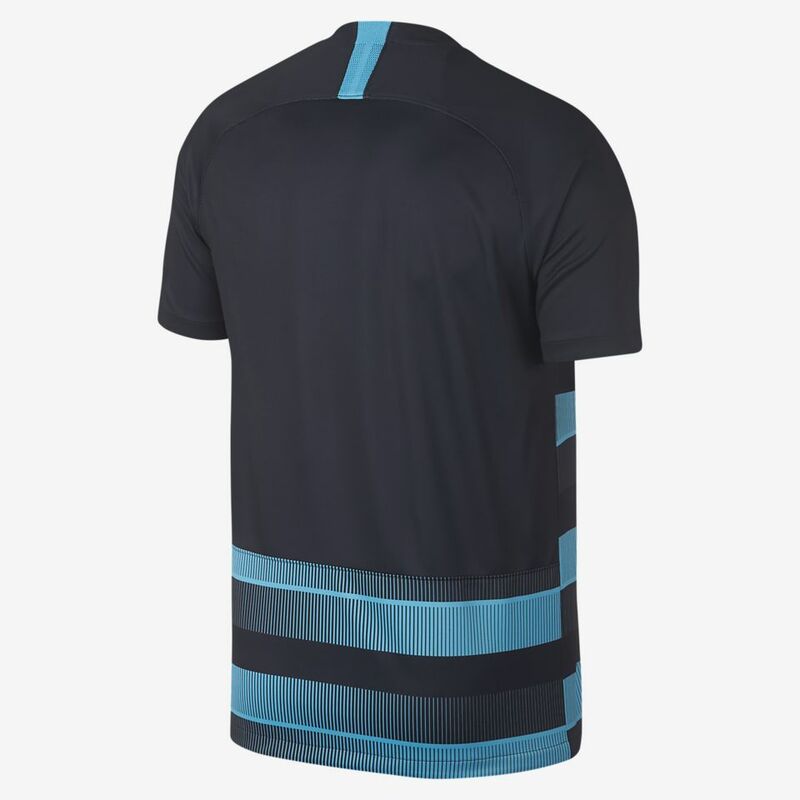 The club's 2018/19 away shirt marks the start of a new era with dynamic cyan and dark blue stripes that pulsate with the energy of modern Berlin, and the fans that will drive Hertha on to victory this season and beyond. 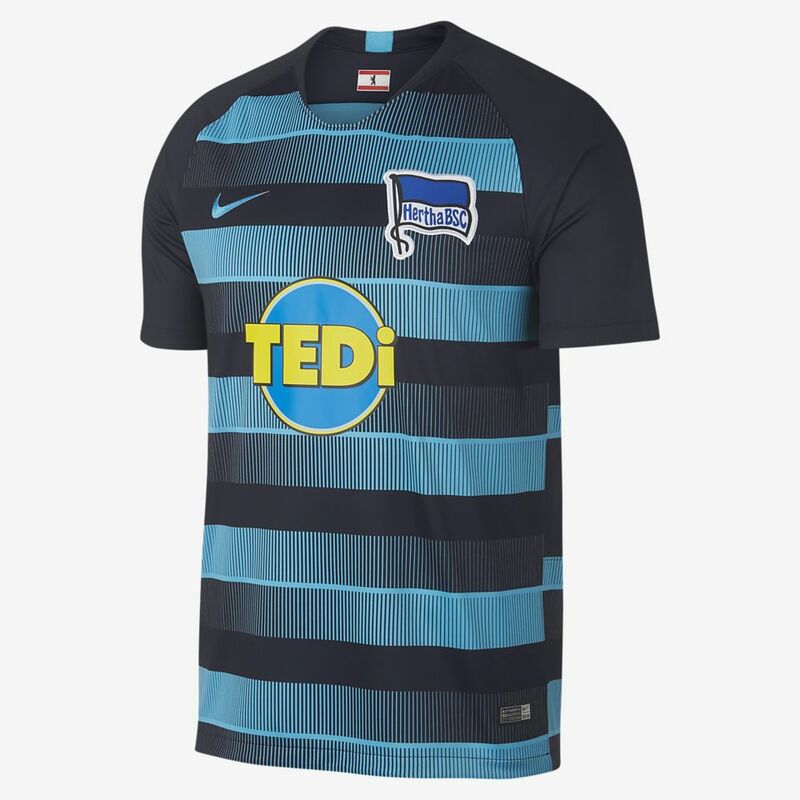 Hertha Berlin has a rich tradition that stretches back to 1892. 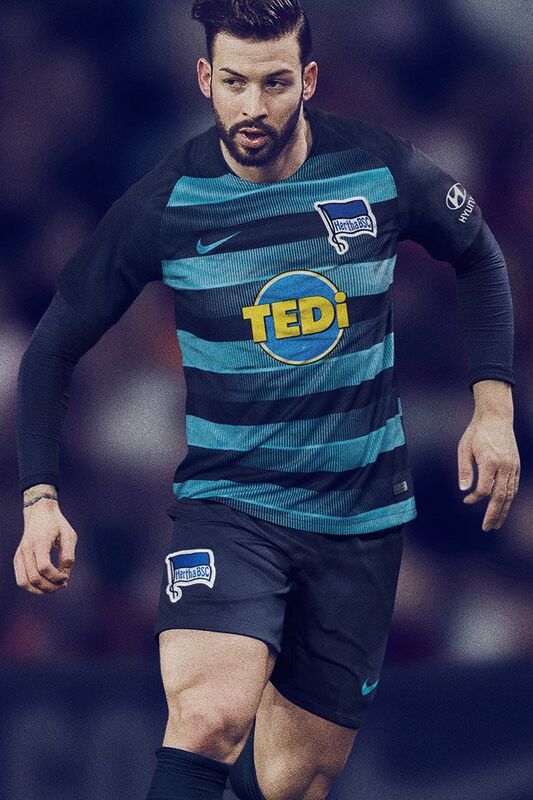 The club was one of the founding members of the German Football Association and its long history has seen many ups and downs. 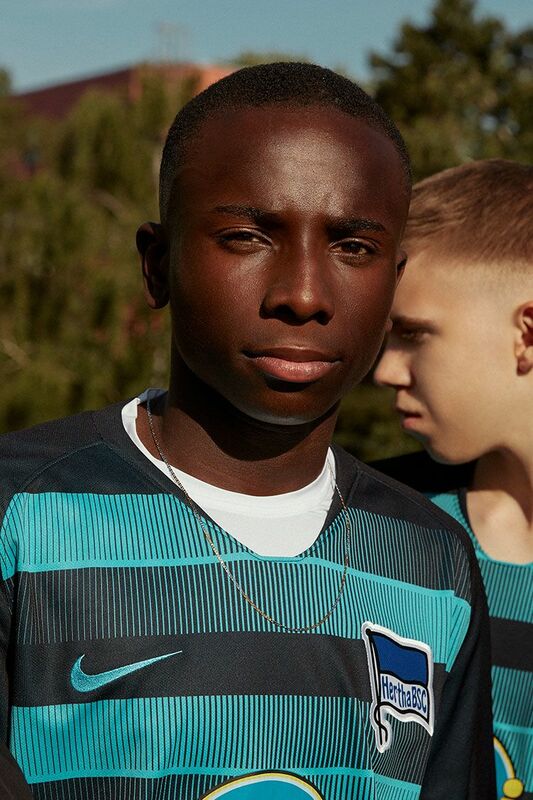 Trophies have been won, relegations have been suffered, but the club has always come back stronger. 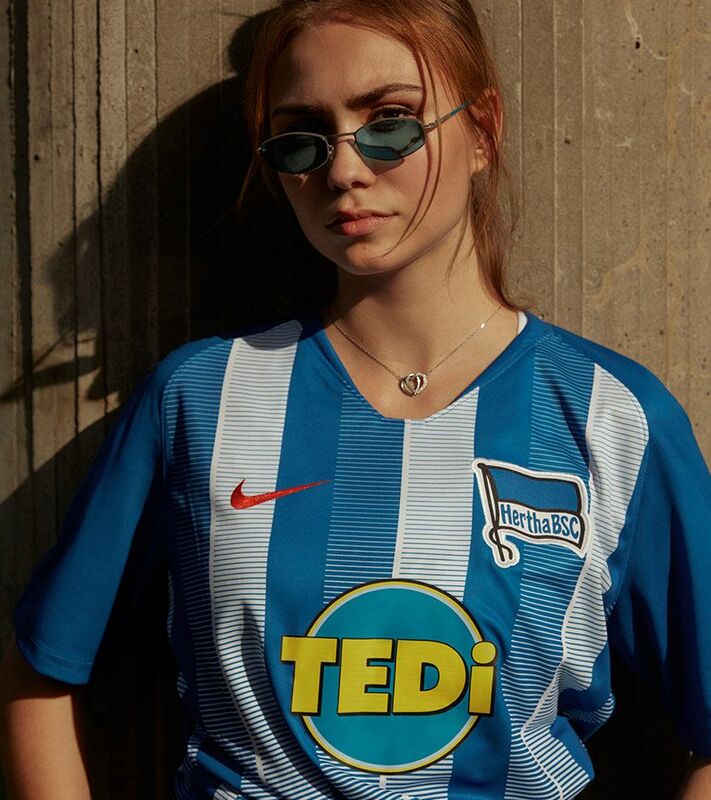 Since 2013 Hertha has been back in its rightful place in the top division—now it's time to prove that the future really belongs to Berlin.